Our Creative Team Enjoy Planning Your Events and make it a masterpiece. Karachi Halls is the biggest online portal of Wedding Reception venues in Karachi. 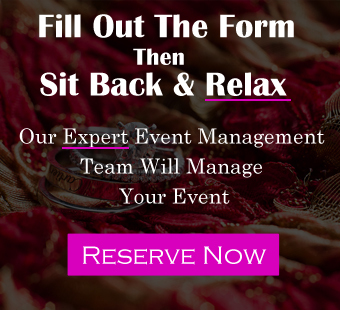 It covers all the factors that lead to a perfect wedding arrangement. Its simply a one stop shop! Our Service Being a host in your life's biggest event is not just fair. Leave it to us, and be the prime guest in your own event! We note down your requirements, suggest you the best available Hall in town. Arrange a tour for you to the Hall and provide booking for your event. We offer a wide range of menu for your wedding with A-Class service. The delicious and mouthwatering food will garnish your event. We just don't rely on hall owners to manage your event. We deploy our teams on your venue 12 hours before the schedule. We provide best decoration for weddings & parties. You really don't want to fall short of budget just before the wedding. We provide complete assistance in terms of budget management to make sure you keep things smooth through out! Want to Know the Best Hall? The Karachi Halls team continuously gathers the stats and public feedback regarding each single hall of Karachi and on the basis of those stats we evaluate the list of Top Lawns for you. Just type in the name of any hall in our search area and you will get the directions of that hall from your home along with the commute time.